At this training workshop, top class experts from top research laboratories around the world will share their knowledge and experience in ALD, reviewing the current trends for R&D organizations. EpiValence Technical Manager Dr Simon Rushworth will be presenting on the topics of precursor design, testing and manufacture from an industrial perspective. Simon has over 30 years experience in the field and is keen to pass his expertise on to the next generation. Atomic layer deposition (ALD) – is a unique technique that allows to develop and implement numerous emerging technologies in such fields as: micro-nano(opto) electronics, flexible electronics, anti-corrosion surfaces, biocompatible coatings for biomedical applications, textiles, implantology, self-cleaning coatings, etc. 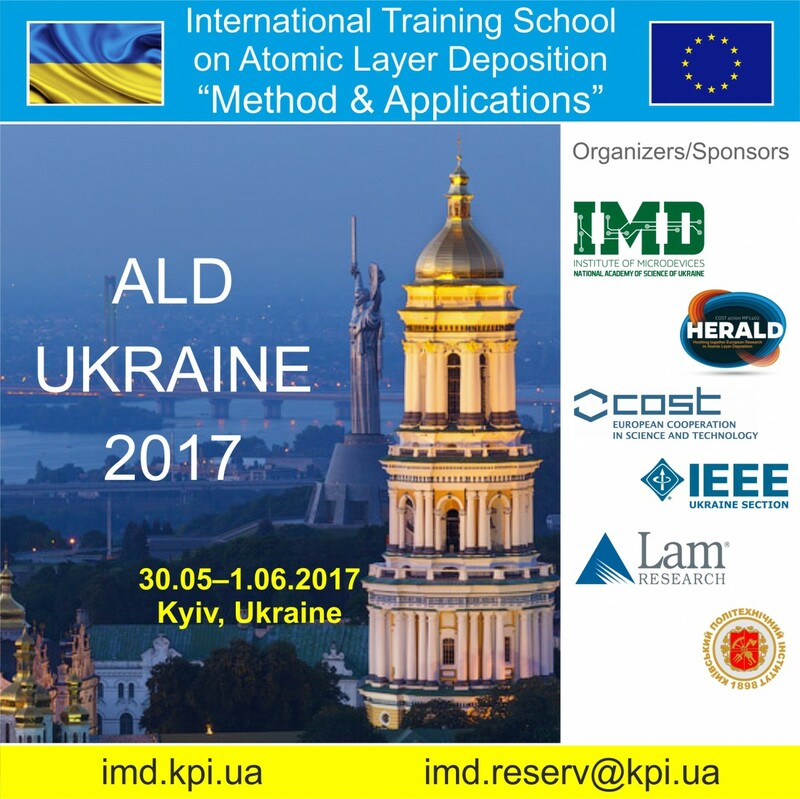 Since Ukraine is represented in all these fields, ALD-UKRAINE 2017 is a beneficial event for research and industrial community that can lead Ukrainian R&D institutes and enterprises to a new level of development.